September 15(ish) is International Dot Day. We’ve been celebrating for the past week in the Barrow Media Center. 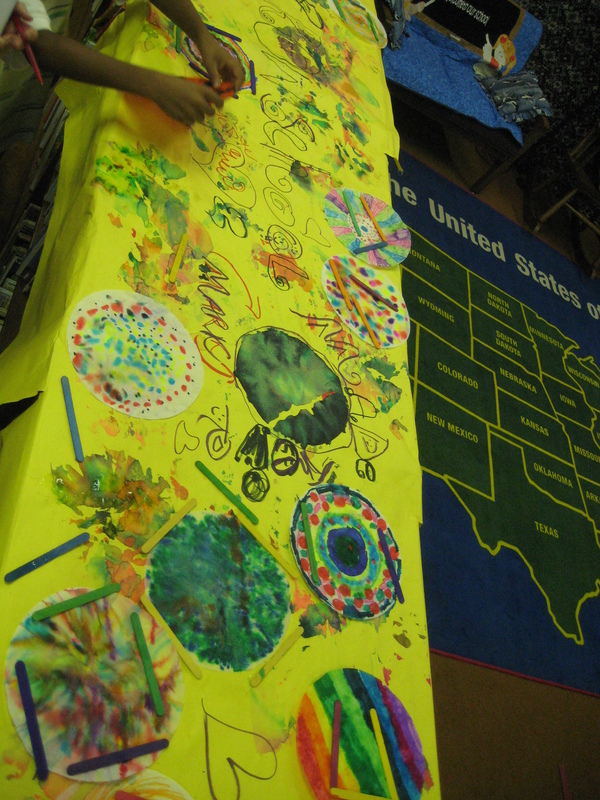 Numerous classes came to listen to The Dot by Peter Reynolds. We talked about the importance of making your mark on the world and avoiding the words “I can’t”. After our discussion, students moved to tables and made dots in 2 different ways. 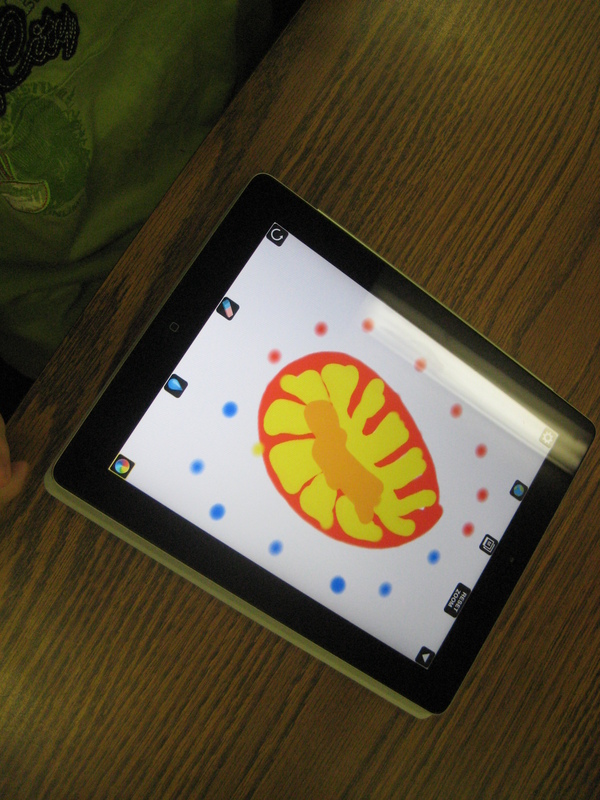 Using Drawcast on the iPad, students made digital dots in a variety of ways. They saved their images to the iPad photo gallery. We took those dots and imported them into a collective dot folder and used Animoto to make a digital dot gallery. We also made a QR code and displayed it outside the library to link to our Animoto video. At the other tables, student had access to coffee filters, markers, crayons, and color pencils. They decorated their coffee filters in creative ways. All of the paper dots filled the windows of the media center to the point that you almost couldn’t see in! Some students used a spray bottle of water to spray their filters so that the color ran together. After many classes came, we realized that our sprayed dots had created even more dots in the drying area. The final class, Ms. Olin’s class, wrote on the drying paper “Barrow School Made Their Mark” and we displayed this in the hallway as well. We hope our creativity will inspire others to make their mark on the world! 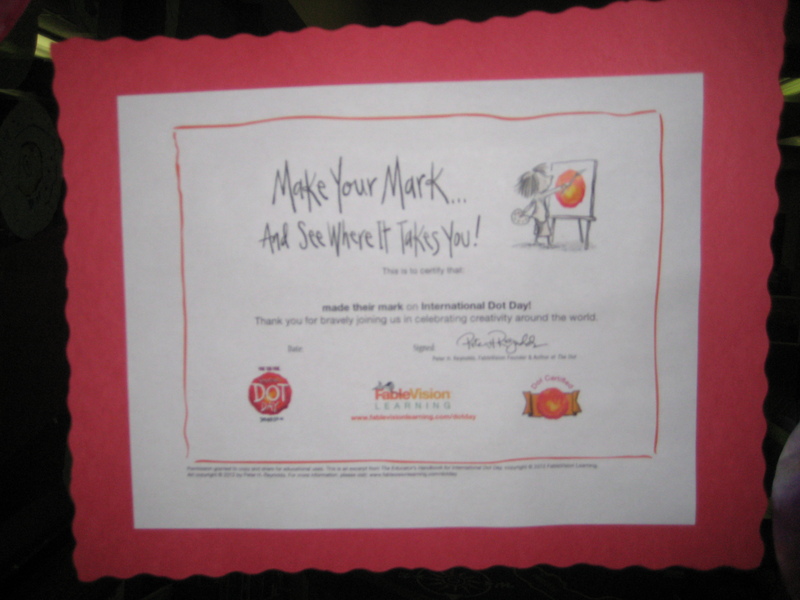 This entry was posted in iPad, Lesson, technology and tagged creativity, international dot day, participatory culture, Peter Reynolds, student participation, student product, The Dot.